Are all your communication needs currently being met by your business phone line? Seeing as you are here, I’m guessing your answer is no. Because this is your essential guide to the best business phone line providers in the UK, how they help you cut costs, and what call packages are the most suitable for your business. But how do you know which business phone line provider and the package are right for you? In a rush? Jump to the top 10 phone line providers. Keep on reading, and you will find out exactly how to select the best business phone line provider and package for your business. By the time you’re done the reading, you will have all the tools and knowledge to find the right business phone line provider for your business. Business phone lines are an affordable communication solution for small businesses that allow you to grow your company, establish solid relationships with clients and suppliers, as well as reduce your current phone costs. Wouldn’t it be cheaper to conduct business using your phone line? Even for a new startup, business phone lines offer crucial services such as unlimited domestic calls, discounted international calls, and telecommunication capabilities that aren’t available on regular phone lines. Plus, providers offer business phone line packages at extremely affordable rates that usually range from £15 to £25 per month. The total cost depends on how many lines you need, the calling capacity of your solution, and what additional features you purchase. A business phone line allows you to obtain a unique phone number that establishes your business’ identity. Clients and suppliers will associate this number with your company, which makes it all the more critical for you to select the best provider possible. I’m guessing you have noticed that technology has allowed a lot of business to be conducted through the Internet, with clients and suppliers never having to interact with you. This makes you doubt the need for a phone at all, but the truth is that speaking over the phone always establishes a more personal connection, which only strengthens your relationships and solidifies your business’ reputation. So why do you need a business phone line? Business phone lines provide a cost-effective communication solution with call packages that essentially allow you to make and receive more calls at an overall cheaper rate. What this means is that you can effortlessly keep in touch with your clients and suppliers, without worrying about the minutes adding up or pesky long-distance charges. Furthermore, you’ll be glad to hear that some providers such as BT include unlimited calls within the UK, as part of their monthly charge. Other providers give you the option to purchase unlimited calls within the UK, or even overseas, for a very affordable rate. Besides cutting down your costs, business phone lines also have many features that are incredibly useful if you want to streamline and improve communication. For example, call management is a popular feature that allows you to customise the parameters of your telephone calls so that when someone phones in, they are automatically directed to the appropriate person or department. Modern business phone lines, such as ISDN or Integrated Services Digital Network, utilise digital networks which allow you to operate multiple tracks at the same time. This means that multiple employees can be reached through the same business phone number that represents your business. ISDN or multi-line systems are ideal if your business is involved in sales or is a call centre. Fact: Business phone lines aren’t expensive. Total monthly costs generally range from £15 to £25 per month, depending on your phone package features, additional services, and the volume of calls you plan to handle. And good news! Since you are purchasing a phone line and the technology that comes with it, you won’t face the hefty costs of purchasing extra hardware. Your business phone line is quickly installed into your office phones, and you get back to business right away. If you choose to purchase additional features and services to enhance your business communication, you’ll pay a monthly fee for each of them. But don’t worry. In general, the costs of using additional features only runs from £1 to £10 per month, depending on the complexity of the service. To select the best business phone line for your business, you need to know about the different types. This will ensure that you avoid costly mistakes by having a good understanding of what business phone line you want. The two primary types of business phone lines are PSTN or Public Switched Telephone Network, and ISDN or Integrated Services Digital Network. PSTN is the traditional version of business phone lines and uses analogue signals to transmit your voice communications. PSTN lines only allow one call per line at a time, which means that it’s best suited if your business operates out of your home, or is very small. It is the simplest form of business phone lines and is the ideal solution when you don’t require a lot of lines and extra features. 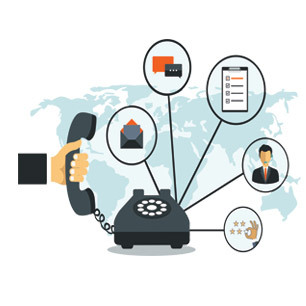 ISDN phone lines digitally transmit your voice, video, and data using a broadband connection which offers more capabilities and features than PSTN lines. Most importantly, ISDN allows more than one call per line at a time, which means that it can easily scale as your business grows. There is a variety of ISDN versions, such as ISDN30 which is suitable for larger businesses as it allows you to access over eight channels through your business phone line. Right, now that you’ve covered the different types of business phone lines, what are the things to look for? Make sure that your business phone line cuts down your current phone costs. Your provider should offer accessible, effective, and fast customer support because when you are faced with a communication problem, you need to be able to fix it fast. If you are using a digital or ISDN phone line, check that your broadband is capable of handling calls without sacrificing quality. Always have a plan for the future by ensuring that your business phone line can scale as your business grows. You may need to handle more calls and require additional features to improve collaboration and communication between an increasing number of employees. Make sure that all your business communication needs are met by your business phone line, through the features and services offered in your package. Consider if you want to be tied down in a long-term contract, or if your provider requires a minimum period of usage. Now that you have complete knowledge of business phone lines let’s finally get started on a comparison of the top providers in the UK. The following providers are judged by a criterion that includes cost, customer support, and phone line features. BT or British Telecommunications is a durable industry leader of business phone lines systems for businesses in the UK. Currently, BT has an impressive record of over 900,000 users due to their value packages and features. BT contracts start from 12 months and go up to 60 months for businesses looking for a long-term solution. Their business phone line packages also include at least two additional features at no extra cost. It should be noted that installation charges are not included in the above prices. What are the benefits of BT phone lines for your business? Additional features such as call divert, caller display, auto call-back can be added from around £3/month. 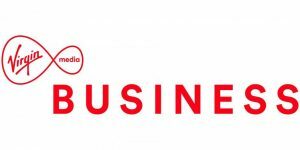 Virgin Media Business is another top business phone line provider that offers industry-specific solutions and expertise in sectors such as retail, health, and professional services. Their pricing and contracts are simple and straightforward, making them a popular choice for many businesses. Additionally, you have the option to purchase extra service for a higher level of support, which is reassuring if you feel that you want to receive consistently available and personal service. What are the benefits of Virgin Media phone lines for your business? XLN Telecom is an award-winning telecoms provider that primarily focuses on small businesses in the UK. They have over 400,000 customers that use their simple and affordable business phone line packages, specifically tailored for small businesses. XLN claim to provide more cost savings than the other larger providers such as BT, with their total costs coming in at £19.95/month. And get this – for only £1 extra, you get unlimited calls to UK landlines! On Trustpilot, XLN Telecom currently has a 4-star rating with over 3,500 satisfied customers praising their straightforward contracts, responsiveness, and helpful support. What are the benefits of XLN Telecom phone lines for your business? Vonage is a worldwide leader in telecommunications, with solutions that support all types of businesses from different industries and sizes. Their innovation has allowed them to adequately understand basic business communication needs and provide straightforward solutions to your communication issues. Vonage provides up to 100 lines for your business, starting at only £15 per user/month with 20 features included. Vonage maintains a solid 4-star rating on Trustpilot, with reviews praising their smooth process, excellent support, and minimal issues encountered. What are the benefits of Vonage phone lines for your business? Vodafone delivers a rich selection of phone line packages, with multiple choices for small businesses with less than ten employees, as well as larger businesses with more significant needs. They are one of the most widely-used telecommunications providers in the UK and have thus developed effective solutions for your business. What are the benefits of Vodafone phone lines for your business? Gamma Telecom is one of the largest voice services providers in the UK, with award-winning telecommunication products and solutions covering a wide range of business industries. Since they specialise in business communications, Gamma is able to fully dedicate their resources to offer the best solutions for all types of businesses. 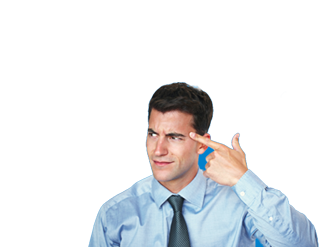 What’s more, they claim to provide you with higher cost savings than other providers such as BT. This is possible because their IP network is one of the largest in the UK and even connects with other providers, which allows them to give nationwide coverage at competitive prices. What are the benefits of Gamma Telecom phone lines for your business? Daisy Group is a UK-based telecommunications provider, focusing on creating innovative solutions that combine the possibilities of IT and communication. They offer unique end-to-end products for business phone lines and calling, connectivity, unified communications, and supply chain services. For small to medium-sized businesses, Daisy offers a variety of cost-effective business phone line plans. You have the choice of selecting one of Daisy’s packages or create your tailored package to suit your business communication needs. Daisy Group currently has a strong 9.2/10 rating on Trustpilot, with the majority of customers praising excellent customer service, easy account management, and overall positive experiences. What are the benefits of Daisy Group phone lines for your business? Chess Telecom is technology specialists that focus on delivering the most cost-effective and modern business communication solutions. Their Voice & Connect products are specifically designed for your business needs to provide you with the most effective service at affordable rates. Additionally, Chess Telecom phone lines come with a range of features such as call barring, divert, that streamlines your communication and eliminates inefficiencies. Their tailored packages promise to reduce your phone bills by integrating your voice and data, which in turn frees up your resources. Chess Telecom also gives you the option between a variety of phone lines, including ISDN2 and ISDN30. What are the benefits of Chess Telecom phone lines for your business? bOnline is a cloud communication services provider that supports the business growth and interconnectivity with their low-cost cloud-based solutions. They aim to eliminate the need for multiple expensive providers for aspects such as broadband, VoIP, and phone lines by instead providing a wholesome and affordable solution for all of your business communication needs. Moreover, bOnline includes over 40 features and full business communication mobility with their phone line packages. You can use your phone line from anywhere and access advanced features such as visual voicemail, selective call rejection, and call waiting for up to 4 calls. What are the benefits of bOnline phone lines for your business? Plusnet is an Internet services provider that also offers inclusive phone line packages in combination with their broadband services. You will be able to gain both broadband and phone lines at competitive prices, as opposed to having separate providers. When you purchase Plusnet Business Phone, their comprehensive phone service, you can rent phone lines and purchase broadband all from the same package. You will also be able to make free calls to other Plusnet Business or Home Phone users, which saves you even more on your monthly phone bills. What are the benefits of Plusnet phone lines for your business? Now that you have read through this guide to Business Phone Line providers in the UK, you are more than prepared to begin choosing the best solution for your business. Don’t forget to keep the above checklist in mind, so that you’ve covered all the bases.